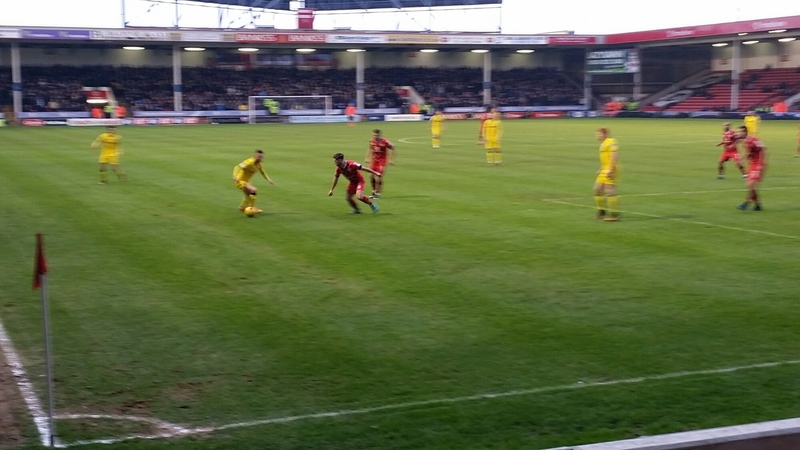 Walsall comprehensively beat a poor Rovers side yesterday afternoon. Football has fell into a distinct second place as my nan who had been in hospital all last week passed away , so things have been particularly tough and even going to this game was a doubt but I forced myself out. Again, I currently have a season ticket kindly given to me by a colleague while he recovers from an operation. 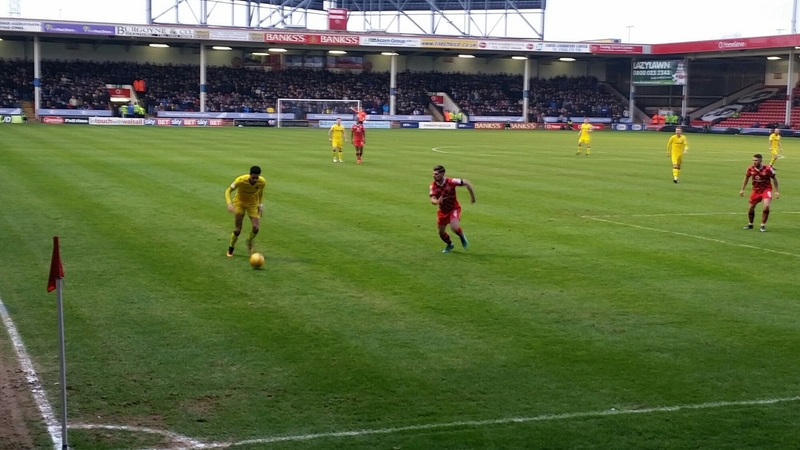 Walsall in the red strip took the lead just before the break to ease a very poor first half, Celtic loanee Eoghan O’ Connell Slotting into the far corner. In the second half, Simeon Jackson made it 2-0 with a fine goal being played in by Cuvelier , he sent a fine looping ball over Lumley plopping into the corner of the net. More poor defending from Rovers Byton Moore , Saw him punished as Joe Edwards grabbed the ball off him and slotted home. 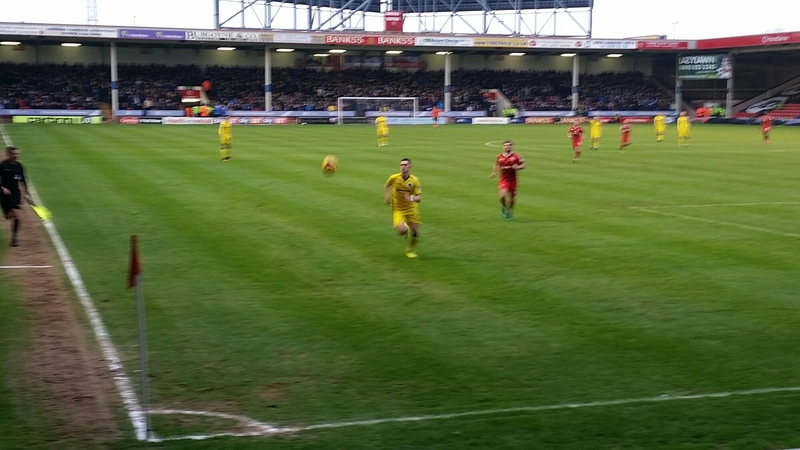 Bristol Rovers Matty Taylor grabbed a goal back at the end with a header .